Below is an easy-to-plan guide for tours in and around, and starting from, the Gauteng Province (GP) area, South Africa. 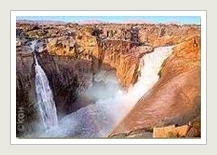 These tours are the most popular in the northern part of South Africa and further north into Southern Africa. We also love Tailor-made tours, so if you are serious about exploring new territories, with tours tailored to your liking, CONTACT US NOW! Half day: is considered a FOUR hour trip, from where you are collected, until your return to your base (home), if you are in the vacinity of where the tour takes place. If you are not in the vicinity of where the tour takes place, then please plan for additional travelling time because of traffic constraints. Three-quarter day: is considered a SIX hour trip, from where you are collected, until your return to your base (home), if you are in the vacinity of where the tour takes place. Full day: is considered an EIGHT hour trip, from where you are collected, until your return to your base (home), if you are in the vacinity of where the tour takes place. which runs every year during August and September. Come join us for a fun filled holiday of a week..